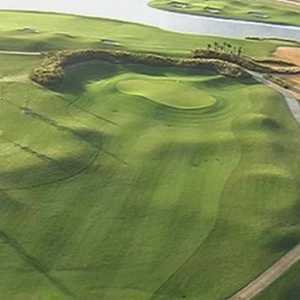 The 18-hole Baytree National Golf Links in Melbourne, FL is a semi-private golf course that opened in 1992. Designed by Gary Player, Baytree National Golf Links measures 7043 yards from the longest tees and has a slope rating of 135 and a 74 USGA rating. The 18-hole Challenge Course at Suntree Country Club in Melbourne, FL is a private golf course that opened in 1975. Designed by Arnold Palmer, Challenge Course at Suntree Country Club measures 6945 yards from the longest tees and has a slope rating of 136 and a 74. 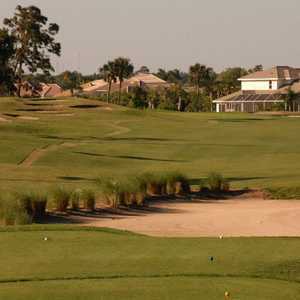 The 18-hole Classic Course at Suntree Country Club in Melbourne, FL is a private golf course that opened in 1975. Designed by Robert Trent Jones, Sr. , Classic Course at Suntree Country Club measures 6953 yards from the longest tees and has a slope rating of 132 and a 73. 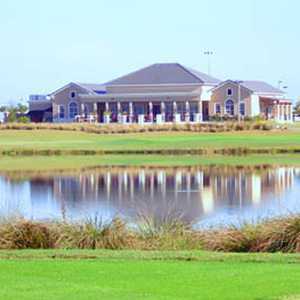 The 18-hole Crane Creek Reserve Golf Course at Melbourne in Melbourne, FL is a public golf course that opened in 1926. Designed by Bill Amick, Crane Creek Reserve Golf Course at Melbourne measures 5886 yards from the longest tees and has a slope rating of 113 and a 66. The 18-hole Indian River Colony Club in Melbourne, FL is a private golf course that opened in 1986. Designed by Gordon G. Lewis, Indian River Colony Club measures 6647 yards from the longest tees and has a slope rating of 127 and a 72. The 18-hole Mallards Landing Golf Course at Melbourne in Melbourne, FL is a public golf course that opened in 1969. Designed by Bill Amick, Mallards Landing Golf Course at Melbourne measures 6955 yards from the longest tees and has a slope rating of 119 and a 72.